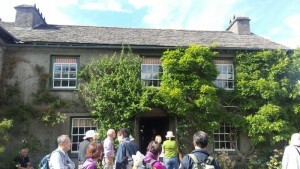 One of the highlights during a recent visit to the Lake District was a visit to Hill Top the home of Beatrix Potter. 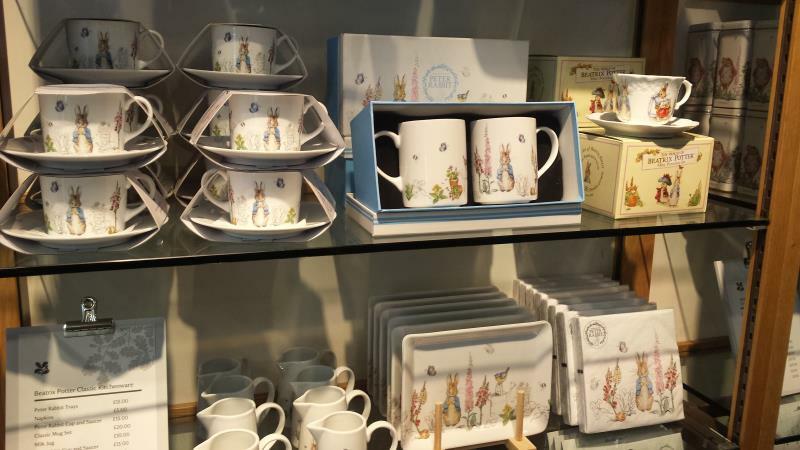 The house (an other properties) were left by Beatrix Potter when she died in 1943 to the National Trust and is open to visitors throughout most of the year and includes access to items from the Beatrix Potter collection as well as artwork. If you do intend to visit get there early so you can book a ticket as it is a very popular place. 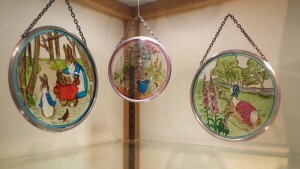 As well as viewing the house, gardens and collection I was also interested in the shop which has a great selection of books, collectables, accessories and some exclusive items. Can you see Peter Rabbit? 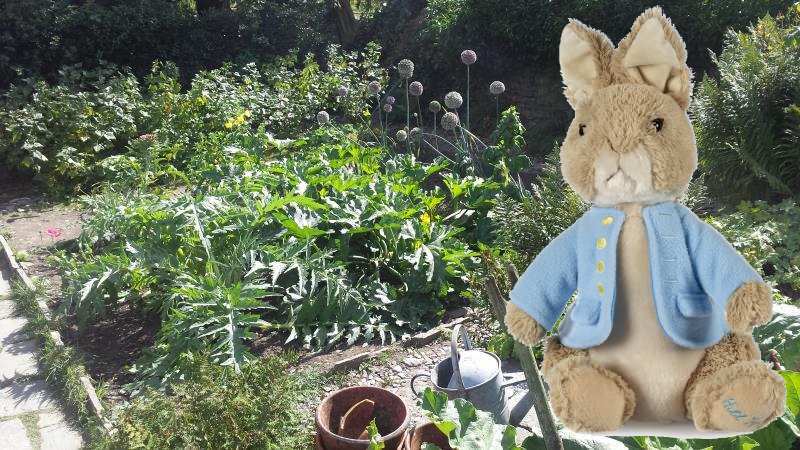 Beatrix Potter bought the house and its 34-acre working farm in July 1906 as her home away from London and her artistic retreat with the profits from her first six books including The Tale of Peter Rabbit. 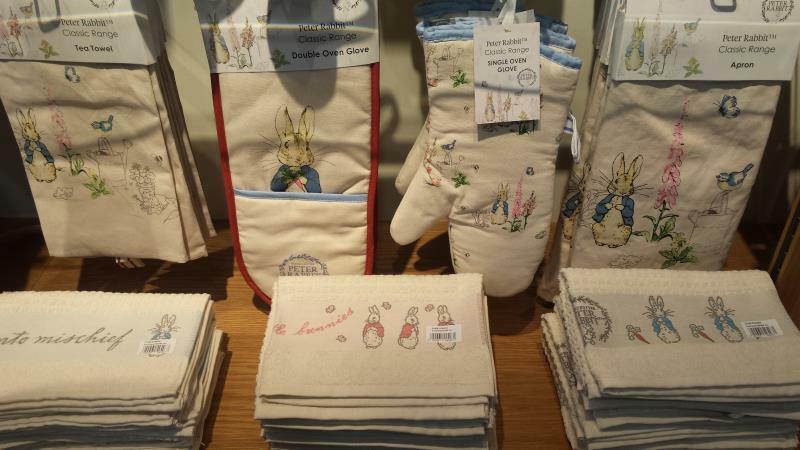 Beatrix Potter first visited the Lake District in 1882 with her parents and from that time visited many times. During her visits Beatrix indulged in her interest in nature, spending hours exploring and sketching the wildlife. 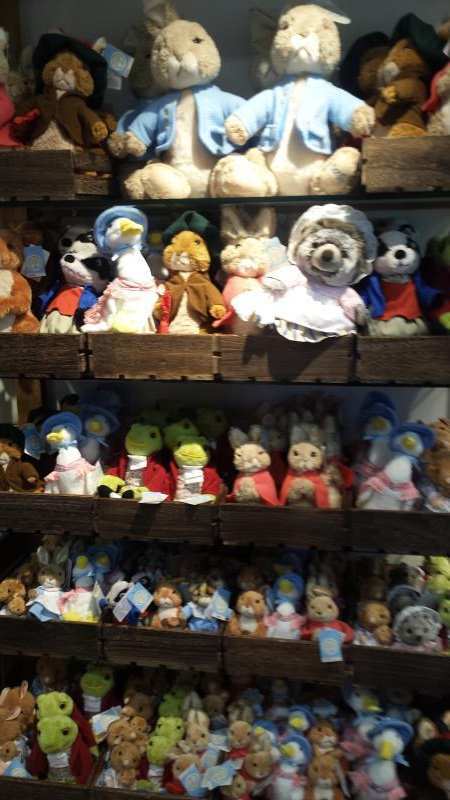 Beatrix frequently returned from holiday with animals such as mice, rabbits, newts, caterpillars and birds which formed an entire menagerie that lived in the schoolroom. 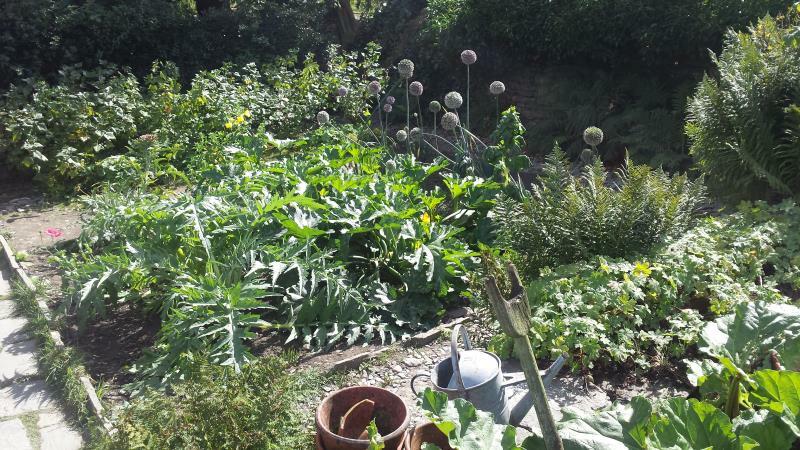 National Trust website. 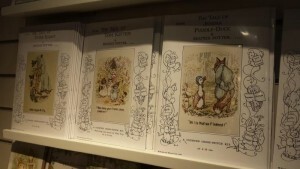 A selection of Beatrix Potter books at Hill Top shop. All 23 Little White books were available. The house is located near Sawrey, Hawkshead, Ambleside, Cumbria a few miles from Lake Windermere. The ferry at Windermere was closed when we went so we went the long route via Ambleside and Hawkshead. 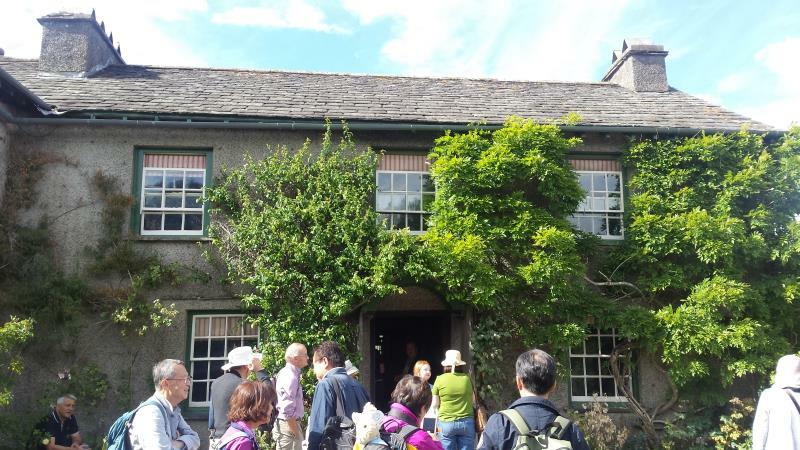 The weather was perfect for a visit to the house and village and to view some of the places that inspired many Beatrix Potter stories.. The house, farm and nearby villages feature in Potter’s books, The Tale of the Pie and the Patty-Pan, The Tale of Tom Kitten, The Tale of Jemima Puddle-Duck and The Tale of Samuel Whiskers or The Roly-Poly Pudding. 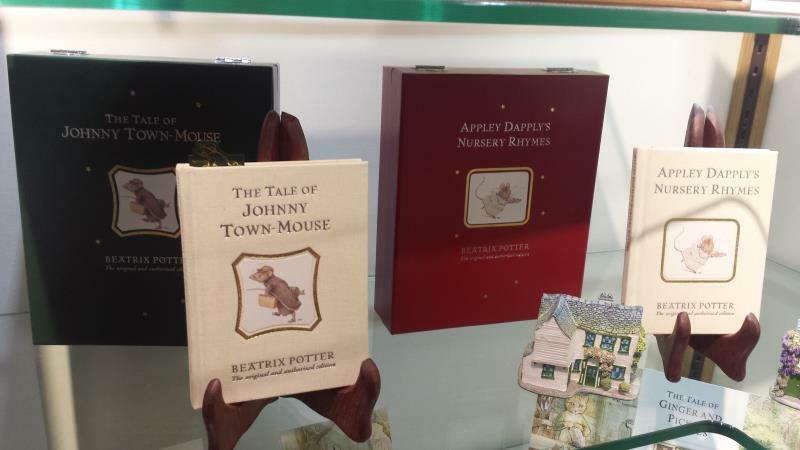 The Tale of Johnny Town-Mouse centenary edition leather boxed book and other books. To celebrate the 100 year anniversary of the publication of The Tale of Johnny Town-Mouse, this edition is limited to just 100 copies (one for every year since the tale’s original publication) and is exclusive to the shop at Hill Top. Each book is cloth bound, with gilded edging and comes complete with a leather Johnny Town-Mouse bookmark. The set also includes an insert describing the history of the tale and comes complete in a leather box. 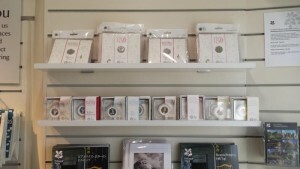 Copies are priced at £125 each. 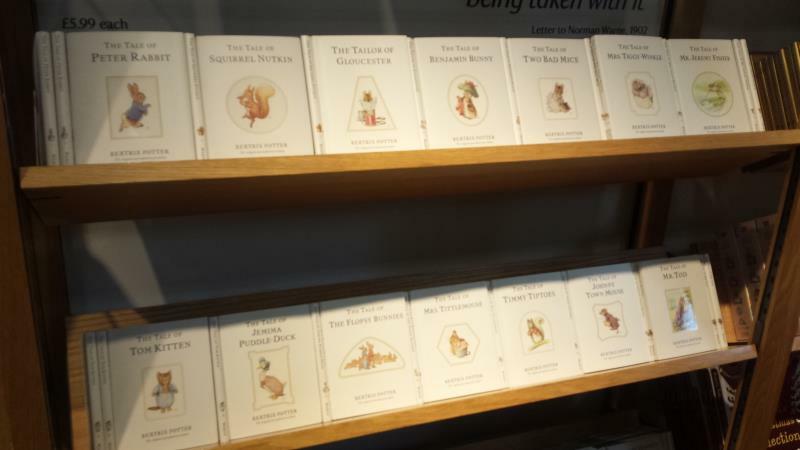 Not only was Beatrix Potter a talented author, artist, a farmer, and a naturalist she was also a very astute business woman. 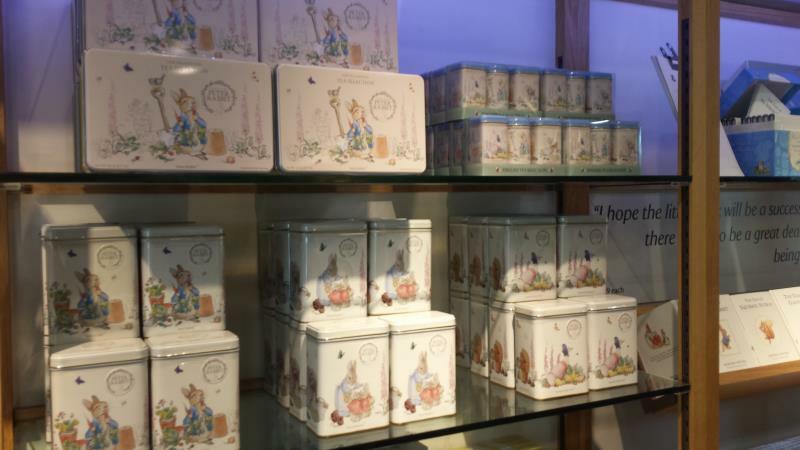 She designed and patented a Peter Rabbit doll, making Peter Rabbit the world’s oldest licensed character and also developed links with Wedgwood and Royal Doulton. 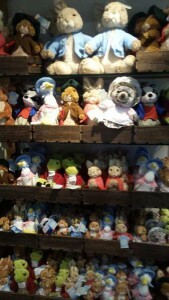 Her figurines and series ware are still collected today. 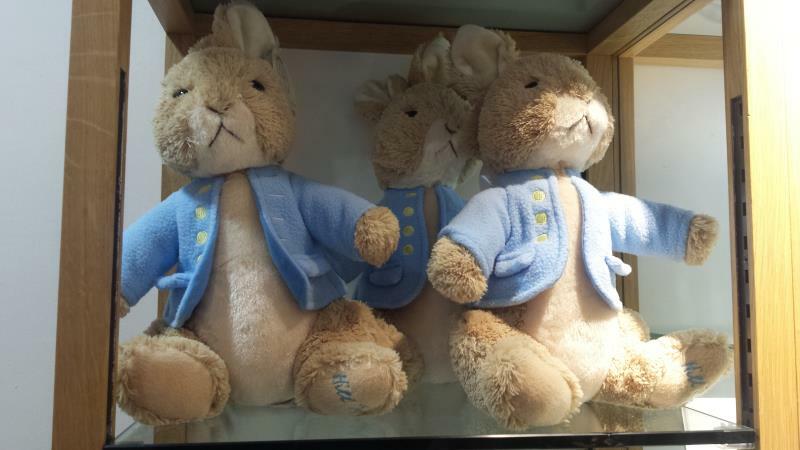 Made exclusively for the National Trust this Peter Rabbit soft toy is dressed in clothing exactly as illustrated by Beatrix Potter and features Hill Top, the home of this cherished author embroidered on his foot. This embroidery has been designed using Beatrix Potter’s original handwriting. Although there were no current Wedgwood and Royal Doulton lines in the shop there were many other interesting items including exclusive figurines, amazing miniature bronzes, limited edition books and silver coins. The shop featured three exclusive figurines. 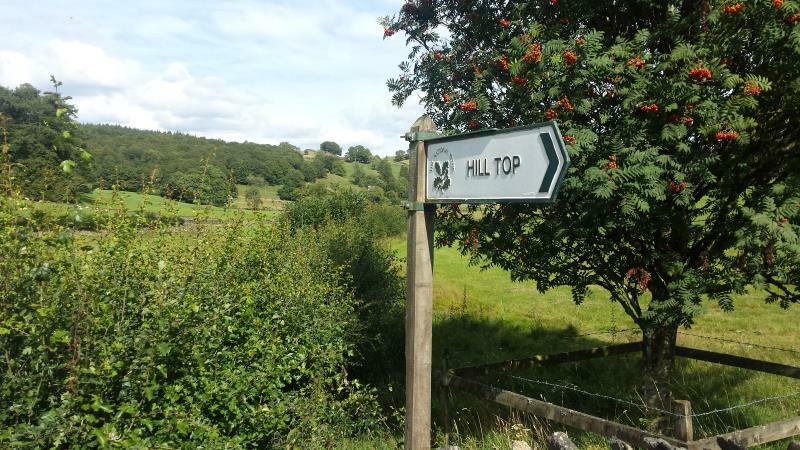 Profits from these exclusive figurines help support the work at Hill Top. 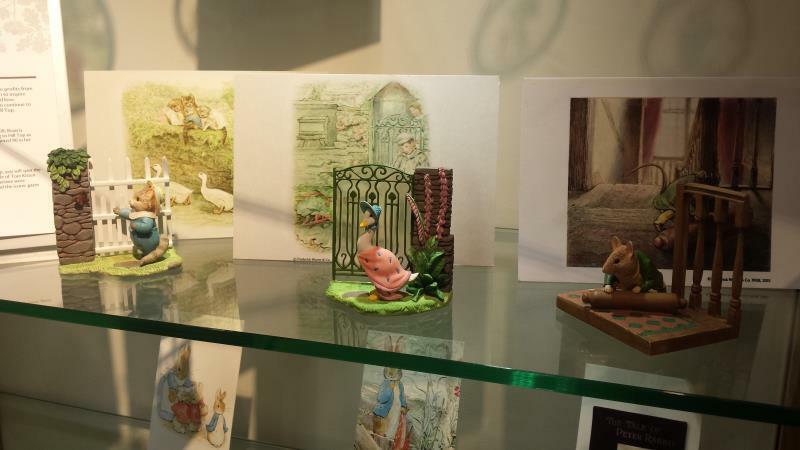 Samuel Whiskers figurine – The Tale of Samuel Whiskers was published in 1908; Beatrix Potter was inspired to write the tale since moving to Hill Top as Hill Top had a terrible problem with rats. She counted 96 in her first two years. Jemima Puddleduck and Tom Kitten figurines were inspired by gates at Hill Top. These miniature bronze interpretations look incredible. 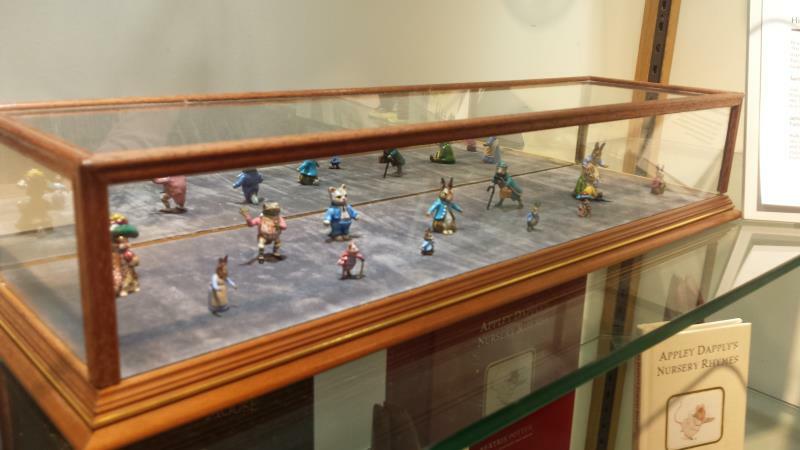 Beatrix Potter Bronze Miniatures exclusive to Hill Top shop. Priced from £45 to £65. 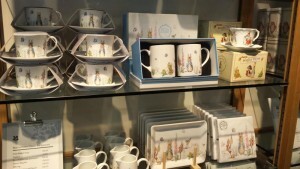 More Beatrix Potter toys, collectables, accessories and more!